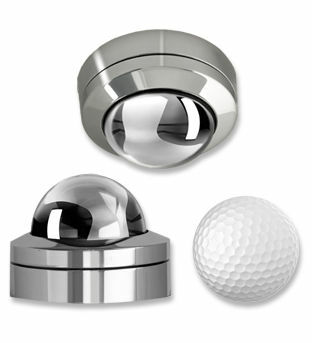 The GOST Xtreme Mini Dome is a super low light tiny dome camera machined from a solid block of highgrade 316L Stainless Steel hand polished to a mirror finish. The GOST Xtreme Mini Dome can be surface or flush mounted and comes standard with a 3.6mm lens which provides a 90°degree view. It is also available with a 2.45mm wide angle lens which provides a 150° degree view.